A few weeks ago we had a WOD that contained elements that were all in my wheel house: double unders, box jumps and heavy russian twists. It was 10 rounds and I did the DUs unbroken for 9 of them. 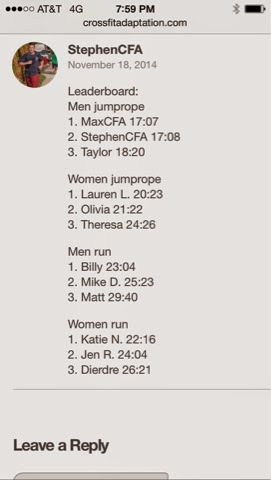 This helped me make the Leader Board! Woo hoo! It had been awhile since I was on there. This is my first weekend home in over 3 weeks. I am looking forward to some time on the couch and sleeping in my own bed. Josh's birthday is this weekend too so in between relaxing we will be doing a good amount of celebrating. Happy Birthday Handsome! I love you so! I will probably be posting pics of the Grand Canyon for the next 6 months. It was too incredible! 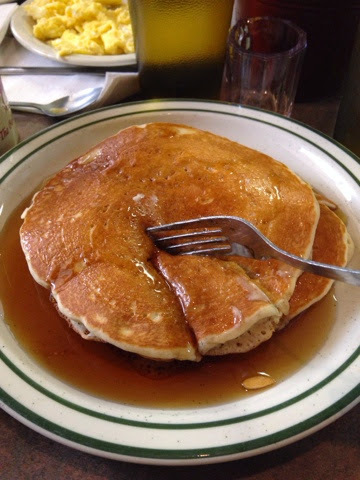 These pancakes from Lanie's parents' restaurant were some of the best I ever had. Fluffy and delicious. I didn't order them, but after Lanie let me taste hers I ended up eating all of them half her stack. I misplaced my eyeliner a few weeks ago. 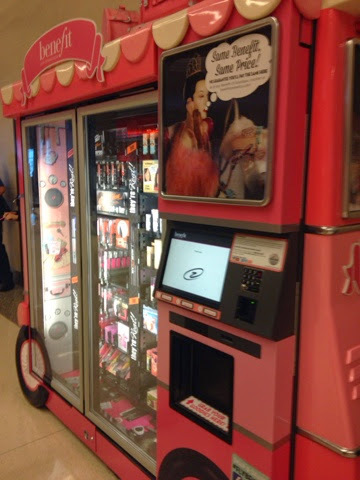 When I flew to Texas for Robley's baby shower I passed this nifty vending machine. It had all sorts of fun beauty products including eyeliner. Saved me a trip to the mall and I love the product. I had never used Benefit Eyeliner before but now I am hooked. How cute is this Aggie Santa? But, that isn't the reason I took the picture. Look at the last two names on his list: Joshua and Olivia!